EP Crab 3-Tone 8, A masterpiece from Enrico Puglisi! A flat profile paired with rubber legs and a marabou tail ensure life-like movement for an altogether perfect crab for any flats situation. EP Crab 3-Tone 8, A masterpiece from Enrico Puglisi! A flat profile paired with rubber legs and a marabou tail ensure life-like movement for an altogether perfect crab for any flats situation. 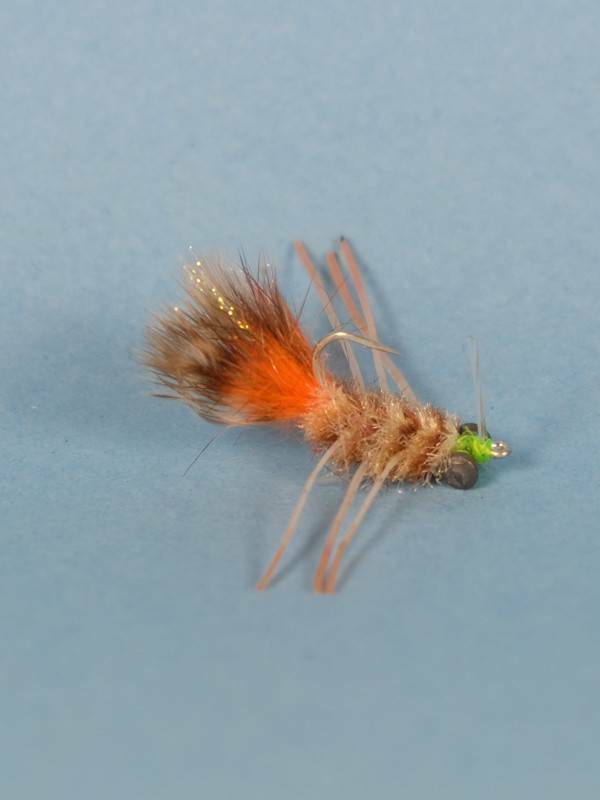 Enrico has received excellent feedback on his crab flies from any area where Permit, Bonefish and Redfish are present. Tied on Gamakatsu hooks and includes a weed guard. Permit Crabs, Permit eat lots of crabs, it's not all they eat, but it what they eat most. Also excellent patterns for Striped bass, tarpon, etc. Not just a warm water pattern. Leo's Pop Up Crabs, Light colored crabs with rubber legs and some marabou in the tail for good swimming action. 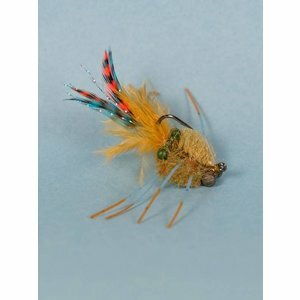 Good for bonefish and permit on light sandy bottoms.